The patch-excited cup antenna is a concept that was introduced by RUAG Space AB, designed for mobile communication satellite systems. It may be seen as an evolution of a short-backfire antenna, reduced in size to allow effective spacing in an array environment. 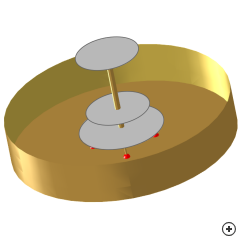 The antenna consists of a pair of patches in a cylindrical cup, with an additional director disc slightly removed from the stacked pair. 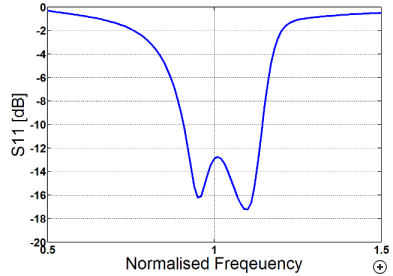 The bottom patch is fed by four probes, excited in phase quadrature to achieve circular polarization, although this may also be achieved with a single feed using patch perturbations.